If you read the first article in this series, you learned that a big frustration to me as an auditor and consultant is a quality manual comprised of a copy and pasted version of the standard. Today you will learn about my second pet peeve, confusion between and collusion of Processes and Procedures. For too many years, there has been much confusion about the differences between processes and procedures and the unintended result has been the interchangeability of the words themselves. For example, many TS/ISO certified organizations have a document titled “Calibration Procedure” but in the header of their procedure, they include the words, “Process Owner” followed by a job title or name. So, is calibration a process or a procedure? To add even more chaos to the confusion, the Calibration Procedure is also included in the organization’s Process Sequence and Interaction flow chart. So, I ask again, is calibration a process or a procedure? Enter in the addition of 4.4.1 and 4.4.2 in the new IATF 16949:2016 / ISO 9001:2015 standard. 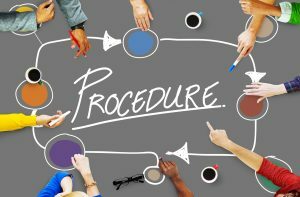 In these two new sections we finally have some long-needed clarification defining the difference between a process and a procedure. In 4.4.1 we learn that a company must establish, implement, maintain, and improve QMS Processes. 4.4.1 goes on to identify eight very specific rules that apply to anything we identify as a process, and in 4.4.2 (a) we learn that we must maintain documented information to support the operation of a process IE: Procedures. So why is the distinction between processes and procedures important? Simple, the implications of the eight process rules in 4.4.1 is extremely overwhelming if they are miss-applied to every procedure. To drive this point home I will focus on one of the eight specific rules. 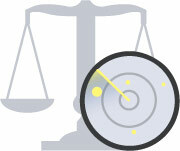 4.4.1 (c) says we must determine and apply criteria and methods to ensure the effective operation of a process (KPI’s). When this requirement is mixed with the requirement of evaluating the effectiveness of a process 9.3.2 (3) during Management Review you have a recipe for disaster. I personally know many organizations that have 35+ procedures that are mistakenly called processes which means they must now track and analyze specific KPI’s for each one and must discuss them ALL during Management Reviews! This does not add any value to an organization and drains precious resources. Think of this in relationship to Document Control for a minute. If your Document Control Procedure has a Process Owner and is included on your Process Sequence and Interaction flow chart, then according to IATF 4.4.1, it is not a procedure, it is a process, and must be treated as such. This means you would need to come up with key performance indicators to measure the effectiveness of your document control, and above that, document control would need to be included in the Management Review discussions. If the context of doing this with document control might not drive this point home, think about procedures like Controlling Customer Owned Property, Identification and Traceability, or even worse, Management Review, all of which many organizations call processes. I would hate to be tasked with determining and maintaining Key Performance Indicators for the effectiveness of Management Reviews. So, if what we have been calling processes are actually procedures, than what are our processes? Great question. To help answer it I will use a process that I call Product Realization. First, this process should be documented on a form similar to a Turtle Diagram that identifies the information required by six of the eight rules in 4.4.1 and points to procedures like Calibration, Production, Inspection, and Control of Nonconforming Product (again, many organizations refer to these as processes but they are procedures). Calibration, Production, Inspection, and Control of Nonconforming Product are not processes, they are documented procedures that, in the words of 4.4.2 (a), support the operations of the Product Realization Process. In conclusion, when you bring this clarity into your Quality Management System by implementing somewhere between six and eight processes and truly allow your documented procedures to act like procedures, your system will be more effective and more audit friendly.